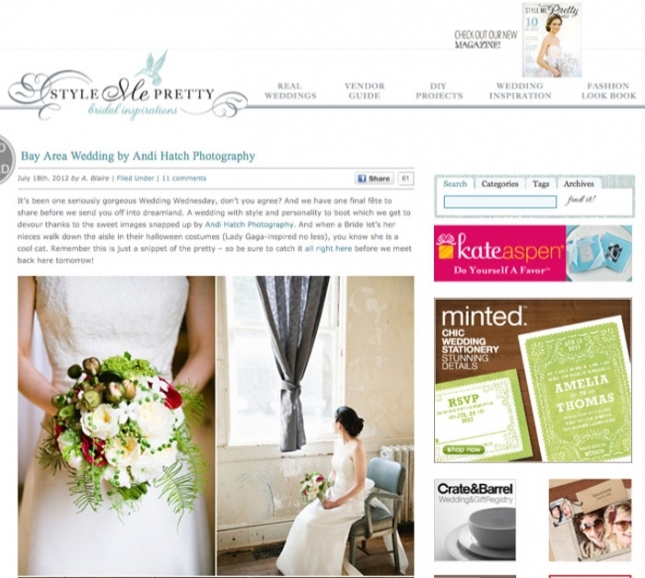 I’m always honored to be featured on the so gorgeous wedding blog Style Me Pretty! Annie + Jeff’s wedding was at my new favorite venue, the Marin Headlands Center for the Arts in Sausalito. See more of their wedding here!